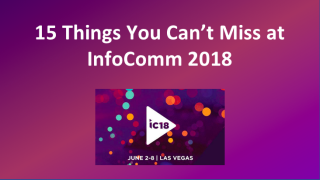 As we gear up for another great show in Las Vegas, here are the 15 things you must see at InfoComm 2018. View the full webinar on-demand. Want to know more? View the full webinar on-demand.